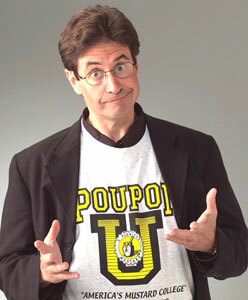 Show your school spirit with this classy t shirt from America's Mustard College: POUPON U. Available in Adult S, M, L, XL, XXL, 3XL plus Youth Sizes Medium, Be sure to select the size you want. 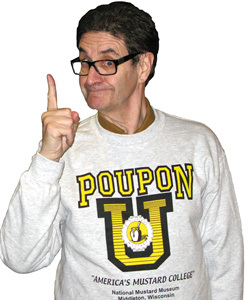 And POUPON U! We have sweatshirts, too! See below. Warm, fashionable, and the ultimate in drive-by insults. Sizes Small thru 3XL.